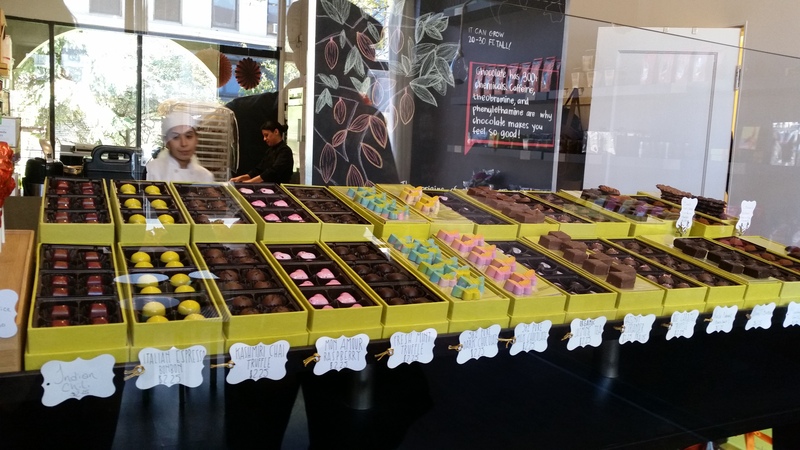 I first visited Chocolat Uzma Sharif during our World’s Slowest Marathon, which I wrote about for Men’s Health. It was proper fuel, indeed. In late February, Neil and I and two of our friends took the class–which is also BYO–and had a blast. Not only do you get to make (well, melt) and fill and flavor and form three different types of chocolates, you also get to sample plenty of your own and your classmates’ (we made vanilla and sea salt truffles; others made cinnamon and cayenne; and espresso and sea salt) and take a ton of chocolate home. We’re talking more than 30 chocolates and a Chinese takeout container full of rich, smooth ganache (danger!). I just stopped in to see what condition my condition is in.